I work with Catapult to help leaders understand themselves and their environment. I have used TMP with a wide variety of agencies, both public and private sector, and have run both group and individual debriefs on the LBP 360. I truly enjoy seeing people gain insights into their colleagues, and the 'aha' moments that take place. Jo started People.co in 2017 with shareholders Alyssa Garratt and Amy Buller and has merged her Acumen International Ltd business into this new company. In addition to continuing with her areas of focus; leadership development, executive team effectiveness and facilitation of business planning and execution, People.co offers management and leadership development, assists clients to improve their culture and engagement and offers an outsourced HR service to clients. Jo has worked with TMS for over 13 years. At People.co, we incorporate a number of TMS tools, particularly the TMP and LBP as part of our leadership and management development programmes and in the programmes that we deliver for The Ice House. Outcomes The TMP provides an enhanced understanding of manager’s individual styles and preferences, insight into improving the quality of interactions within teams, and explores in a fun way becoming more effective in their roles. Outcomes The LBP enables executives and managers to gain an understanding of the perceptions others have of them . People.co assists with helping to recognise and build on leadership strengths, to prioritise areas in which clients wish to enhance their management effectiveness and to develop a personal leadership blueprint. Deborah became accredited in the TMP tool over 10 years ago and uses the tool to help teams and individuals understand their profiles across a diverse range of industries and roles. As a Director of BartonRoss Ltd, Deborah offers TMP workshops as stand alone sessions, or as a session with strategic planning days. Either way, the sessions are practical, and fun, incorporating principles of high performance teams. Teams are encouraged to commit to individual and team actions that, if applied, will enhance the performance and lift engagement across the team. Until recently, Anna has worked as a Senior Business Advisor, Policy Group, Ministry of Justice. Anna has worked extensively with the teams in the Policy Group and the Group as a whole with TMS. Anna is now focussing on her business ‘Roar Fierce Limited’ as a Biodynamic Craniosacral Therapist, Coach (accredited by the Australia New Zealand Institute of coaching in Abundance Coaching) and in the future, Counsellor. Anna's business incorporates holistic health, team and individual coaching. Anna is affiliated with YB12 Coaching (http://www.yb12coach.com/) and is able to use her TMP skills when working with teams or individuals alongside those of YB12. Anna loves working with teams to help them understand team dynamics, individuals to see what makes them 'tick' and working with both to increase performance and achieve goals. Change is constant and Anna believes that TMS offers some consistency and a way of working together than can assist with navigating change issues in teams. The TMS profiles also assist with helping teams work out where they need to focus their attention. Outcomes A way for Managers to discuss performance and coach their staff. Teams are more aware of how others react and how they like to be approached. Teams can effectively be built where there is a project need – you get the right people for the right tasks. Teams have a common language and can use this when discussing issues in the workplace. Cynthia Munro is an executive coach, consultant, project manager and founding director of C Squared Consulting Limited (C2Consulting). She has worked for 11 years in management consultancy, 3½ years consulting and contracting to government agencies where she led national projects, and 8 years in education and training where she held senior management positions. Cynthia is experienced in workshop design, delivery and focus group facilitation. She works with a wide range of small to large organisations over a broad range of specialist areas. Her knowledge and expertise has been enriched through her own experience as a manager and the enjoyment and challenges this brings, her involvement as a board member, and as a project manager for a range of nationwide projects. Her consultancy approach is about building strong relationships and partnerships. She is a catalyst for change for both employers and employees by asking the right questions, analysing the resulting information; identifying, implementing solutions. C Squared Consulting Limited (C2 Consulting) is a privately owned consultancy with wide capability and expertise. We provide employers and their staff with a comprehensive range of services to assist them reach their organisational, professional and personal goals. Our services are provided via workshops and seminars (both in house and hosted) as well as one to one to one coaching and consulting nationally. Where we are unable to meet face to face, we utilise electronic media for communications or use our associates in the main cities, and engage them on a project basis. We're here to provoke fresh thinking and create new futures. How? By bringing fresh ideas and thought leadership to the work we do with individuals, teams and organisations. We're accredited in the full range of TMS assessments. They're sound and insightful. And they form the start of all-important conversations people need to have with themselves and then with others. We bring a strong voice and encourage others to develop theirs. We continually raise the bar and make sure others do so too. We're fresh and edgy and encourage others to take on new ideas and ways of working. Kate is an independent HR consultant and coach with a background in HR management and a keen focus on helping people to understand their strengths and finding ways to use them more. Kate has been running TMP workshops for a number of years and particularly enjoys the lightbulb moments when team mates find their TMP “twins” and “opposites” and start to understand what that means in a team context for communication and simply getting things done. She has also worked with over 30 managers for de-briefing and follow up coaching on Leadership Behaviours Profiles. Kate is an IECL (level 1 and 2) accredited coach and is currently studying for a Diploma in Positive Psychology and Wellbeing. Outcomes Greater understanding and appreciation of our own work preferences as well as those of team mates, customers and stakeholders to support improved communications and team cohesion. Outcomes An understanding of how our leadership behaviours are perceived by others. A well balanced view of our strengths as well as areas that may require some development effort. Surf Life Saving New Zealand is a not-for-profit organisation and the national association representing 74 Surf Life Saving Clubs. Today a little over 18,000 people are members of SLSNZ that save over 1300 lives every year. Providing beach patrols on 80 of New Zealand's busiest beaches each summer is just part of what we do. Being a proactive lifesaving service, sporting organisation and providing a range of education programmes ensures that we keep New Zealand's favourite playground safe for everyone. Belinda's role is to ensure the effective delivery of member training and development programmes. Her primary role is to ensure the effective review, development and delivery of key SLSNZ member training and development programmes across lifesaving and sport aspects of its operations. One of these key development programmes is the BP Leaders for Life programme, which is their Leadership programme for SLSNZ members. The BP Leaders for Life programme emphasises the development of leaders at a local level who are skilled at working collaboratively with, and through, others to build and sustain Surf Life Saving in New Zealand. This programme is part of a national strategy to support a wide range of leadership development activity for members right across the Surf Life Saving community. Outcomes These TMP's really give our staff and leaders a self-awareness of their areas of strength and preferences and how these might work in with other leaders or staff. We have had amazing results from our leadership programme with participants utilising their profiles in all areas of their life. They are a fantastic development tool! Pam's learning and development business (www.redefine.org.nz) focuses on three main areas: dysfunctional teams, change, and older workers. 'Redefine', developed from the notion of what we let define us combined with an interest in identify construction, works with individuals or teams as they redefine themselves in relation to the issues they face. 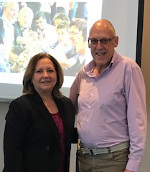 New Zealand's changing demographics and the issues that will be faced by employers and employees in relation to an aging workforce led Pam to an interest in older workers in the workplace, in particular around job change and performance management. Over the years Pam has collected a number of robust tools to use with clients, and she finds the suite of TMS profiles meets her requirements of credibility and robustness. Pam has absolute confidence in the TMS tools she uses and one of the many outstanding services provided by TMS is the on-going support they provide in answering questions about how to handle different situations. Pam has worked with: government departments, tertiary institutions, local authorities, multi-national companies, trans-Tasman companies, and New Zealand companies and firms. Outcomes The Team Management Profile is used for it's credibility and robustness in particular around job change and performance management in helping people build their confidence and reflect on what they have to offer by helping identify jobs of interest, work values, and an action plan for 'where to next'. Outcomes The Team Diagnostic Profile is used for it's credibility and robustness in particular around job change and performance management in helping teams build their confidence and reflect on what they have to offer and an action plan for 'where to next'. Maxine specialises in supporting leaders and their teams to be clear on what they want to achieve with their business. She facilitates a wide range of teams across various sectors to make sure they are aligned on the changes they need to make to achieve their vision. Team Management Services tools are at the heart of helping her to do this. A core philosophy that drives her approach is that once a client has invested in TMP or WoWV, they should get the most out of that investment as possible. This means that Maxine takes the tools beyond the initial awareness of individual and team preference, and uses them on a weekly basis to frame meetings, build strategy and direct individual and team efforts into 'the right part of the wheel' when needed. Maxine's background is in business improvement and change management and she regularly uses Team Management Profiles and Window on Work Values profiles to compliment her experience in embedding performance improvement frameworks in organisations. Outcomes The Window on Work Values tool is a real favourite. It allows for a deeper conversation about team awareness, and can also be extended out to think about what drives different customer and stakeholder groups. Subsequently this enables the development of meaningful customer and stakeholder strategies. In the Ministry of Justice we use Team Management profiles widely across all levels of the organisation. We are becoming more effective through better understanding of how team members prefer to work and improving the way we communicate with one another. Team Management Profile is also a great template for our people to build self-awareness and identify areas for development. Una and Wayne are Senior Advisors focussing on leadership and management development in the People and Performance team. They have worked together for a number of years, developing frameworks, designing and developing leadership programmes, delivering training and measuring learning impact and effectiveness. They are experienced accredited practitioners in the complete suite of TMS profiles and use Team Management Profile extensively. Outcomes A robust basis for team performance, professional development plans and effective coaching conversations. Managing change through an improved understanding of new colleagues as well as the values that will underpin the way they work together going forward. Managers and their teams discover individual work preferences and styles, an explanation for why their staff / colleagues generally operate the way that they do and how these can be best leveraged to develop high performing teams that collaborate and perform optimally in the workplace. Outcomes Understanding of oneself, insight into the way that others see us and how our behaviours impact on those we lead. Preparing people leaders with the skills to manage themselves and their relationships, and their ability to influence others through improved emotional and social awareness. At Achieve Group we specialise in developing leaders and managers. We also work alongside managers every week to build high performing teams. On our 6 month Leading for Results programme for talented middle-tier managers from the public and private sectors. We use the TMP to enable managers to understand how they prefer to work, and how best to manage and coach staff members with different styles. We also use the TMP to allocate managers to groups for a variety of practical activities. To build teams or further develop existing teams. Some organisations have chosen to use the TMP for all managers, including the senior management team. This provides a common language for teams in the organisation and an opportunity to do some analysis of the overall “balance” of styles in a unit or across the organisation. In coaching with individual managers and staff. To provide a "safe" way to discuss differences when there is conflict between people with very different styles. To assist managers who are recruiting new staff. It is used alongside other tools and processes to explore the applicant's fit with existing team members. The TMP is easily understood and the reports are clearly laid out. In any one session this tool allows us to focus on both the overall team functioning and the interpersonal relationships in the team. It seems to appeal to all, including analytical types that are normally sceptical about tools in general. Outcomes Greater self-awareness, improved team communication, greater team harmony, improved team results, leaders able to operate more flexibly with a range of staff styles, more appropriate career decisions. Staff at DOC are passionate about the environment, our native species and our special places – and continually go above and beyond to get the job done. To help them achieve this, over the last five years, DOC has placed significant emphasis on development of capability and leadership – and a core component of this has been broad use of TMP. Across the country, teams are heard talking about working preferences, their ‘place on the wheel’ and using the language of working preferences. TMP has been used across the whole organisation, with the executive team through to rangers who work on the frontline. It is now the preferred work-preference assessment instrument on all our leadership programmes. Part of its success is the immediate applicability, there is no feeling of being ‘tested’ - and all our workshops are designed to be enjoyable, informative and relevant to the day-to-day work – and this is helped by the fact that the people running the DOC TMP sessions are DOC staff. We use TMP on our Aspiring Leaders Programme, with participants drawn from all over the country, and from different agencies in the Natural Resource Sector. The discussions about TMP helps the participants get to know each other for the first time and all enjoy having an interactive, practical session where they can openly share their experiences working with others with different working preferences. TMP also enables discussions about leadership and how there is no one "right" profile to be an effective manager or leader. I have used the TMP primarily for helping new teams develop in the forming stage - particularly after a review of some kind. Great for ice-breaking where team-members know very little about each other, TMP provides an explanation for those who wondered why their colleagues generally operate the way that they do. I typically experience quite a few 'a-ha' reactions. It is a 'safe' tool that focuses on work preferences rather than personality types - staff don't feel pigeon-holed It also brings to managers' attention any work preference that may need some covering off. An example is undertaking a TMI analysis for a whole unit of approx. 50 profiles, starting with smaller teams within and then producing an overall roll-up. A fun and slightly competitive way of sharing team profiles and what they meant for the unit. Outcomes TMP works, is immediately usable, and helps teams really start to talk about how to become high-performing and play to their strengths. 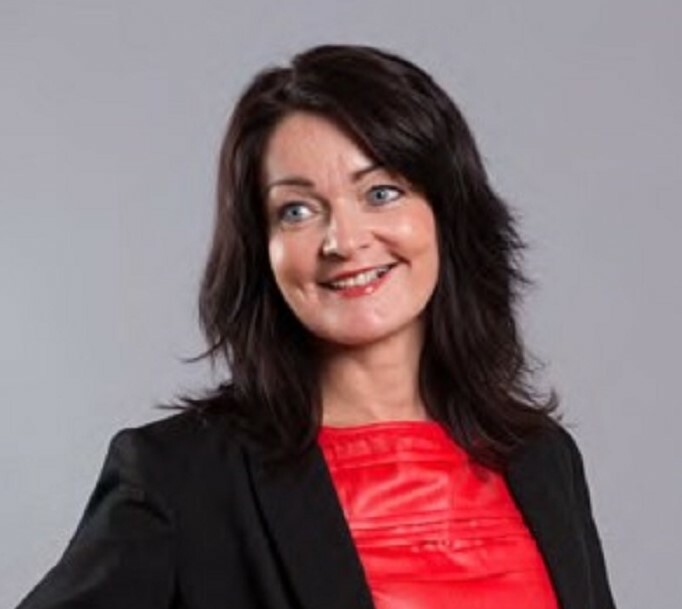 Since it was established in 2012, Ingrid Hood has managed the Telecom Retail Sales Academy which is responsible for building sales and sales leadership capability across Telecom’s business and consumer channels. The Academy offers a range of internally developed and externally sourced programs and resources with the objective of achieving sales and leadership excellence. The Academy recognises that sales people need to be resilient. They face rejection every day, need to think on their feet and focus on achieving ever increasing goals. At Telecom, like many other sales focused organisations, we recognise sales leaders are the key to maintaining this resilience. By creating a performance focused competitive, challenging environment, they provide a platform for sales success. Our sales leadership development programs aim to increase understanding of not just sales management tasks but understanding what makes sales people tick. In 2013, we introduced the QO2 profile to our sales leaders to help develop this understanding. The profile provides the perfect framework for understanding resilience and the characteristics of sales success. The opportunities and obstacles measures in the profile are perfect for sales development – inevitably people will need to develop or mitigate their focus on one or the other to improve their results. Ingrid has used the TMP profile with leaders and teams for a number of years. She prefers both the TMP and QO2 profiles simply because they work! She describes them as pragmatic, easy to understand and they continue to resonate with users long after the programs are finished. “When you hear ‘It’s like they know me!’ time and time again you know people will be open to the learning offered by the profiles”. Outcomes The TMP gives leaders and tools a pragmatic common language and understanding that simply makes people work better together. Outcomes Leaders gain an increased understanding of how to build resilience and create a balanced sales environment with the ultimate outcome of better sales performance. John Richmond established his commercial association with Team Management Services Ltd in 1992. He subsequently developed a successful career in General Management, Sales and Marketing, primarily in association with building industry providers specialising in the importation of very high value products for the facilitation of bespoke interior fit-outs. As a result he has accumulated a broad range of experience across all aspects of organisational operations. Throughout his career John has maintained an interest in the development of high performing teams, a positive organisational culture, the support, development and retention of staff and investing in "whatever it took" to secure positive "win/win" outcomes for all parties when required. “My early exposure to the Team Management Services suite of practical and easy to implement “tools” and methodologies has served me extremely well with respect to my own career progression” says John. That interest in Coaching and Team Development ultimately resulted in John to taking up a permanent Consulting role with Team Management Services in 2011. The role requires him to deliver programmes that encompass Strategic planning, Leadership and Team Development throughout NZ and Australia and his clients are typically larger national or multinational entities with representation variously from the private, public and non-profit sectors. These include organisations as diverse as Todd Corporation, IHC, Department of Internal Affairs and New Zealand Rugby League. So look out for John at the Auckland airport as he transits through there several times every week! Outcomes Consistently recognised by programme participants as the "very best" profiling medium they have been exposed to. Outcomes Properly facilitated, the 360 degree feedback accelerates individual development by providing an insight into the way that others see us. Outcomes Team members love having a “voice” to comment upon the team functionality and thus the opportunity to represent their collective view. Outcomes A must for Values and Team Charter workshops. Jane is an OD consultant working with Boards, CEOs and senior teams in Australasia, Asia and the UK. She’s a behavioural change agent, specialising in turnarounds of top teams. She recently started a new business designing ‘innovative solutions for tough times’ in response to the current fiscal crisis. She takes a research-based approach, using methodologies from the behavioural sciences, systems thinking and creativity. Jane has observed Public Sector Chief Executives in real-time – and identified the importance of the ‘risk management’ role in the NZ environment (adding to Mintzberg’s descriptorsof leadership roles). She continues to shadow leaders (over 400) and research their leadership practises – most recently on Trust in Top Teams and how to accelerate hastily formed teams. Jane uses the TMS instruments to deliver innovative outcomes and ROI to clients. Outcomes When forming and reforming their teams to create a collective leadership approach and to identify the (team’s) gaps around the senior management table. Outcomes To identify their styles, strengths and gaps within the teams that needed to be ‘filled’ by a system rather than a person. Outcomes To ID their gaps and likely risks, and their ways of working. Outcomes Identify learning styles and preferences and to get high quality feedback. Outcomes To ID preferences and also fit with the job (particularly good for career development mentoring). Clients range from policy analysts in central agencies, boards in local bodies, producers in the film industry and professionals in education, science and health. Jane’s used the TMS instruments for over 20 years, so appreciates their research base and the real value they add to clients. For this reason she had all of her own consultants (in her previous business – Navigate) trained and accredited in the TMS instruments. She’s looking forward to the new Board Diagnostic Profile (BDP). Outcomes Francis Health has used the TMP profiling tool for successful team development in hospitals and government departments in NZ, Australia and the UK. Outcomes This is very powerful for individuals to gain better understanding of their strengths, weaknesses and gain valuable insights into how others perceive them. Outcomes Francis Health has used this tool when teams are well established but need to improve their performance to meet new organisational objectives. We have been utilising the TMS tools for over 8 years with a focus on TMP and 360’s. Outcomes TMP is a great tool to develop self-awareness and an understanding of how each person works in the team. Our employees have responded very well to TMP which provides a fun, interactive framework. Outcomes Team Diagnostic Profile is use to improve team effectiveness as a next step for those teams that have already been through TMP. I have found it easy to use and have received great feedback from the teams who have been through it, it offers an easy framework to focus development activities. Morag has worked at the Ministry for Primary Industries (MPI) for 4 years in a variety of roles. She currently is a generalist HR Adviser and for the last two years has focused on facilitating team development and change management. Morag has been using the TMP for nearly a year and works with MPI managers and their teams to gain a deeper understanding of individual work preferences and styles. The TMP provides a common language and is a starting point for discussions of how an individual approaches their work and the impact of their interactions with others in the workplace. The TMP is also used for facilitating further sessions to build on the teams understanding of their personal styles, communication, strengths and weaknesses and to identify gaps. Outcomes Introductory session to gain a deeper understanding of individual work preferences and different roles within teams and the associated styles. Followed with further sessions to build on the teams understanding of their personal styles, communication, strengths and to identify gaps. Greig Caigou is a key member of the Outward Bound facilitator team who brings a wealth of experience to the Navigator course. He has worked in NZ with clients as varied as Spark, Transpower, Qualmark and presenting the NZ Business Challenge programme to senior students. Off-shore, clients are equally varied having worked with the United Nations and a most recent example involved facilitating retreats for 'Leadership Fiji'. Greig has a strong appreciation of the human ability to step up to challenging and demanding situations and he believes courage and resilience is a core skill for tomorrow’s leaders. Greig enjoys working at Outward Bound because of the exceptional and inspirational people who work there. Combine this with adventure and reflection (in stunning environments) and link this to creditable leadership theory and practice and you have powerful ingredients for developing human potential . . . which Greig views as his life’s work. Outward Bound use Team Management Services and the experience of accredited facilitators to co-deliver their 8 day Navigator Leadership Programme. The Navigator programme blends leadership theory and workshop delivery and puts knowledge into action through outdoor team challenges. The use of TMS 360 profiling and TMI reports helps Outward Bound to tailor the programme to the current needs and skill requirements of individual attendees. Greig is an accredited provider of the Team Management Services suite of tools and for many years co-facilitated their residential leadership programmes. Outcomes Leadership - The Navigator course focuses on the important 'soft skills' required to lead others. When you step into a leadership role, the dynamics in how you engage with others can change. Being prepared with the skills to manage yourself, your relationships, and your ability to influence others is what Navigator is all about. Hillary is a registered psychologist with 30 years’ experience in assisting organisations deliver innovative, customised solutions to individual, team and organisational challenges. She has worked as both an internal and external consultant to a wide range of private, government and non-government organisations, across many sectors including Education, Health, Transport, Steel, Retail, Banking, Pharmaceutical, Construction, Oil and Gas, Finance, Manufacturing, Waste Management, Quarrying and Mining. Prior to establishing the Resiliency Centre, Hillary lectured Organisational Psychology at an undergraduate and graduate level both nationally and internationally. In 2002, she founded the Resiliency Centre, an Auckland based consultancy that supports organisations to build productive, healthy and safe workplaces through the use of various assessment tools and processes and customised development programmes. Hillary recently completed a project which involved using the TMP to profile the staff across all the functional operations at a large open cast coal mine in New Zealand. All staff in each functional team completed a profile and attended a one-day workshop. The insights gathered from the team profiles and workshop discussions were used to develop action plans for each functional team. Given that all staff at the mine were profiled over a relatively short period, valuable insights with regard to the ‘organisational profile’ were also generated. Outcomes Assisting individuals and teams to develop their capacity to deal effectively with both work challenges, improving their effectiveness, resiliency and wellbeing. Trish and Holona Lui are Directors of Catalyst Pacific Ltd, a learning and development, and communications consultancy, which specialises in "Building Effective Cross-Cultural Communications for High Performance." Trish and Holona have used a variety of TMS tools particularly the Team Management Profile (TMP), for many years with a wide variety of culturally diverse teams. "We are very confident in using TMP in a cross-cultural context and often promote and position TMP as a tool that can be used effectively with cross-cultural teams to help organisations to achieve their business goals." "In our experience as a cross-cultural couple, family and business, TMP has proved an invaluable tool in helping people to better understand themselves and others. It provides a great platform for people to appreciate their own and others' respective cultural values. It helps people to explore how they can get the best from the way they work together both with and for their clients." TMP offers an effective process to help teams find common ground and paves the way for a wider conversation about the different cultural values and dimensions that may be subconsciously at play in their work environment. Using TMP is a 'safe' approach because it explores work style preferences in a non-threatening way. We have found that exploring work-styles is often a great ice-breaker. It provides an entry point that encourages people to appreciate and understand the diversity in their teams initially from a work style perspective then onto an exploration of cultural values. Through TMP team members become far more engaged and receptive to the insights the tool can bring. The process is an enriching experience that gives people greater insight into the factors that influence the dynamics of their team and ultimately contributes to their organisation's performance and productivity. Outcomes Building Effective Cross-Cultural Communications for High Performance. Our team is accredited in the Team Management and Windows on Work values Profiles. The language of TMP in particular is now entwined in our fabric at Chorus, and our people actively use the tool for personal development as well as effectively communicating and collaborating with others. Claire Nolan is passionate about creating a working environment where people can continuously learn, collaborate and innovate. Being a Learning & Development Advisor allows her to do just that. Claire has worked in Learning and Development and generalist roles in various industries and sectors. Phillippa Powell is an HR Advisor on the HR team, and supports the Administration functional group. She also partners with employees and Executive steering groups to deliver on key Wellbeing and Diversity and Inclusions initiatives. 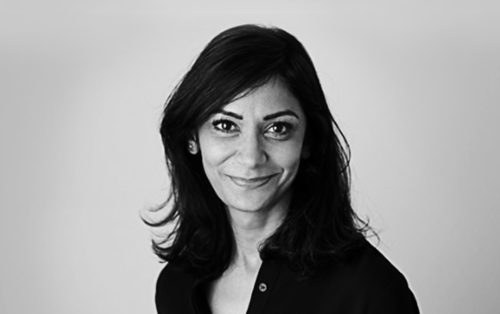 Daan Kaur joined Chorus as the Recruitment Manager and is the lead in ensuring that the company has the resources and talent to deliver on its business strategy. Daan partners with People Leaders to support them with any resourcing support they need and provides expert advice for the wider HR team. Kim Culpan business partners with some of our larger functional groups and is part of our HR leadership team. Kim has worked in a variety of industries including manufacturing and healthcare, and provides support and advice to the business, as well as setting our people up for success. Outcomes Supported the design of Chorus' values, provided everyone with an understanding of what their personal values were, a team view and an organisational view. This provided a consistent language for people to use when designing the values that would make Chorus successful and unique. Outcomes Individuals and their people leader understand preferences to provide a tool for greater understanding of the individual, drive strengths based conversations, and a platform for team building. Tania's areas of expertise include team development, group facilitation, individual skills coaching, workplace problem solving, design and development of HR frameworks, employment relations and change management. She has held a range of human resource management and consultancy roles in the New Zealand public, private and not-for-profit sectors in the last twenty years. Tania is passionate about people being successful at work and has coached and mentored many people, giving them skills, tools and strategies to navigate the challenges of the workplace. Tania is an experienced facilitator and has developed and delivered a range of leadership, coaching and team development workshops. 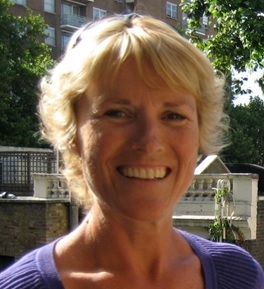 Tania regularly facilitates the Navigator Leadership Development Programme at Outward Bound. Outcomes Gain a deeper understanding and appreciation of individual work preferences in order to develop better working relationships amongst team members and other key stakeholders. Outcomes Helps individuals to better understand strengths, weaknesses and gain insights into how others perceive them. This awareness creates an opportunity for individuals to adjust their behaviours and to develop skills to enhance their performance and careers. Nathan is currently Training & Development Manager at McPherson's Consumer Products, one of the largest general merchandise and housewares suppliers in New Zealand. He is responsible for developing the company's people resource through training and implementing supporting HR systems and processes. In the last year at McPherson's he has used the Team Management Profile and the Qo2 Profile with teams, and the Leadership Behaviors Profile to support leadership development. Previous to McPherson's Nathan spent 8 years consulting and has worked with many different client organisations in the areas of team development, leadership development, and strategic planning.During this time he has exclusively used the TMS suite of profiles to support development initiatives. His facilitation style is focused but relaxed, and incorporates a variety of techniques to ensure engagement of participants, and to cater to differing personal styles.This includes the use of action learning activities. Outcomes Individuals and teams at any level or stage to understand how their work style can dovetail with their colleagues. Also used to identify sales strengths, dealing with customer differences and recruitment. Outcomes This profile examines participant approach to risk, goal focus and optimism/pessimism. Used with sales professionals to understand the sales 'mindset' including optimism, resilience, confidence, and desire to succeed. Outcomes Used along with the associated Leadership Behaviours Model to provide a framework for an internal leadership programme and to provide managers with feedback on their leadership performance. Outcomes This is thorough at showing people where they excel with others and where they need to work harder. These issues are often difficult to talk about, and this profile provides a common language as an excellent starting point for change. Outcomes This 360 profile helps clients know exactly how to improve their strategic skills and focus. Karen is an organisational development consultant who has been working in consulting since 2000 (when accredited in TMS). Karen specialises in working with teams and individuals to explore their leadership, teamwork, communication (particularly the power of story-telling), processes and productivity. This is done via the facilitation of leadership forums, action learning groups, skill-based and team workshops, as well as one-to-one coaching. The TMS tools are utilised to shine a light on issues, processes and systems that need attention. Karen uses these tools because they are robust, NZ-normed and they really do help people stop and take stock in the midst of their "busyness"! Outcomes Individuals and teams at any level or stage to understand how their preferences can dovetail with their colleagues and those who report to them. Outcomes To assist team leaders and senior members to enhance their abilities at providing the glue within their teams. Outcomes This is an excellent way of giving leaders feedback via confidential means and seeing patterns of behaviour otherwise unreported. Outcomes This profile has been used to great effect with those wanting to step in to leadership roles and those who are already in them. It has really helped clients know exactly how to improve their strategic skills and focus. Outcomes This works well in a change situation or with individuals/teams who are wanting to examine their approach to risk, goal focus and optimism/pessimism. Derek is the Managing Director of Rapid Results, a local firm who provide nationwide training and development services to improve team communication, front line interaction with customers and front line leadership using Customer Service, Sales and Leadership training and tools like TMP and LEGO Serious Play. Derek is a previous winner of the North Shore Business Awards for Customer Service Excellence and the TUANZ innovation award for General Education. We chose the TMP as our profiling tool of choice when we saw how effective it was to help build better communication and understanding in teams. As the TMP focuses on working preferences, it is ideal as it allows people to have a work focus. So many of the holistic profiles take away from the focus for us which is to work better together at work. We have found the TMS team to be first class at responding to requests and proactive in providing information. Personally I have run around 40 TMP sessions around the country and thoroughly enjoy the experience and the outcomes it gives those involved. Of course, we add our own touches to TMP sessions we run so groups get exposed to some of the LEGO Serious Play and communication techniques and activities we have developed. I highly recommend the Team Management Profiles as a way to get people to improve their understanding, communication and productivity together. Paul has developed a reputation, both in NZ and internationally, as an outstanding facilitator. There are few people in NZ who could rival the breadth and depth of Paul's experience having facilitated transformational leadership programmes in New Zealand, Australia, Japan, China and Malaysia. Employment Relations Advocate for the NZ Employers Federation, Director of Human Resources for NZ Breweries Ltd and Facilitator for IAS New Zealand and IAS Learning Group Limited since 1993. Owner and Director of Paul Diver Associates, Employment Relations Consultants since 1991, leading a team of eight Associates, providing advocacy and negotiation services, dispute resolution, change management and strategic employment relations advice for a wide range of organisations. Director of Chapel Road Partners Limited trading as 5 Degrees Consulting facilitating transformational leadership and organisational alignment. Bachelor of Law, University of Canterbury. Admitted as a Barrister and Solicitor in 1979. Associate of the Arbitrators and Mediators Institute of New Zealand. Accreditation with Team Management Services New Zealand 2008, covering a range of organisational behaviour tools, including the 'Team Management Profile' and the '360' Leadership Behaviours Profile. Paul has a passion for sport, travel and musical theatre. Outcomes To identify and measure their individual leadership styles, strengths and gaps for development. And to measure pre and post leadership programme shifts. In addition assist with building strength and alignment for Senior Leadership Teams. Outcomes To assist in team building by identifying and creating an understanding of one another’s learning, communication, leadership and working styles and preferences and to get high quality feedback. Leslie Hamilton is an experienced international executive coach and facilitator. She specialises in using practical, researched, innovative processes to provide customised solutions. Director of Chapel Road Partners Limited trading as 5 Degrees Consulting. As part of her personal vision, Leslie began her coaching practice in 1993 and then moved to New Zealand in 1996 for life style changes. Previous to that, she established and led organisational training and development departments for two top US medical centres; designed innovative training initiatives at NCR Corporation and managed a change programme to save an educational institution from bankrupcy. Clients include executives and senior leaders in a range of organisations including Plant and Food Research, Fonterra, Nelson City Council, Sport New Zealand (NZ); University of Southern California, Constellations Concept, (US); GlaxoSmithKlein, St John’s College (UK) and Department of Agriculture, Fisheries and Forestry (AUS). Accreditation with Team Management Services New Zealand, including the 'Team Management Profile' and the '360' Leadership Behaviours Profile. Certified facilitator of TetraMap® of Behaviour Styles (TetraMap International), to enhance communication, customer service, planning and team development. Leslie regularly takes time for tramping, kayaking, travel, dining with friends and adventures of most any sort. Outcomes To measure their individual and collective performance as a precursor for the clients in-house Leadership Development or Organisational Change Programme with the key focus of expanding capability across the entire organisation. In addition facilitates building teams experiencing major organisational change and / or restructuring. Outcomes To identify leadership styles and preferences and key areas for development. Highlights perceptions within key working relationships and creates a mirror for the leader in terms of his/her leadership style. 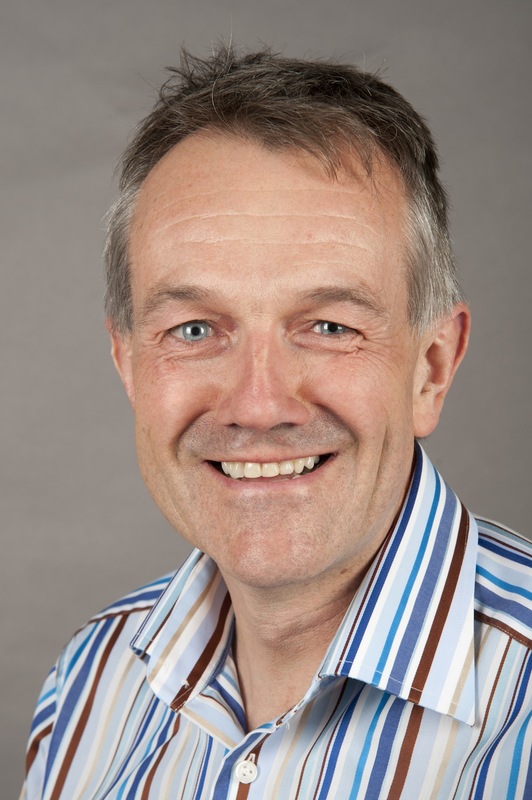 Paul’s areas of expertise include team development, group facilitation, individual skills coaching, organisational design, design and development of performance management systems and change management. Paul is a coach and facilitator whose 15 years as a manager in a corporate environment gives him a rare depth and breadth of experience. Paul is passionate about using evidence-based practice to create measurable and sustainable results. He has coached and facilitated leadership and team development programmes with customers as diverse as: Christchurch CC’s Sport and Rec team, NZ Special Olympics, Sport Manawatu, Sport NZ CEO Leadership Programme and local government. To boost his evidence-based approach with the latest theory and practice around leadership and personal development, Paul has just completed a psychology degree, with First Class Honours, from Victoria University. In the corporate world Paul worked on the rollout of Kiwibank at NZ Post where he project managed a Leadership Capability Assessment of 250 PostShop Managers and Franchisees using assessment centre techniques, workshops and consultation. The TMS suite of tools are robust and most importantly easy to understand and user-friendly. People love the insight they get into their own and especially their colleagues behaviour. Outcomes Increased self-awareness, improved understanding of strengths and weaknesses. Improved insight into how others see you, leading to improved team performance. Rachel Stewart - Bachelor of Commerce from Auckland University, Diploma in Human Resource Management and Graduate Diploma in Teaching. Rachel has worked at both ASB and Sovereign as a Senior HR Consultant and Training and Development Manager for the last four years. Her role currently involves supporting the Risk team in the Training and development function. She is currently focusing on Development, Talent Management, Coaching and delivering training programmes. Rachel has used the TMP extensively within both her roles to enhance the understanding and effectiveness of teams. Within the Risk area of the business all teams are provided with an introductory session to build awareness of strengths and preferences with further sessions to build on this understanding of the team and identify gaps. For this purpose it has been a fantastic tool. Outcomes Introductory session to build awareness of strengths and preferences with further sessions to build on this understanding of the team and identify gaps.